In particular for the first evening, we recommend having dinner in the riad to spend a relaxing first evening in Marrakech before exploring the sometimes overwhelming Medina. A Moroccan dinner includes various Moroccan salads as a starter, a Tajine as the main dish, and a Moroccan dessert. The Tajine is made with beef, chicken, lam or vegetables only. Non-alcoholic beverages are included. We ask for 20€ per person and dinner. Ask for a discount for large groups. Prices are per person. Children up to 8 years eat for free. Please ask for discounts for large groups. You can eat very well in the median and sometimes even cheaper. 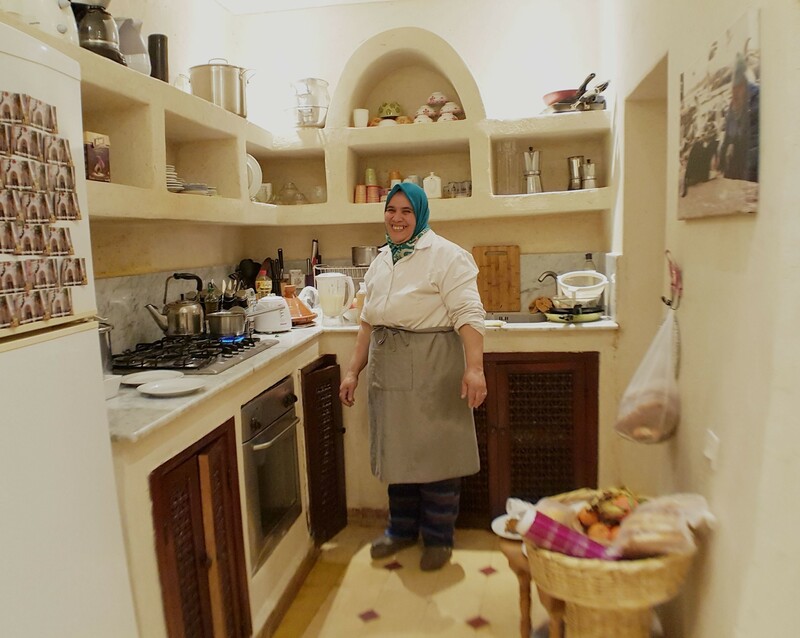 Our prices reflect the fact that Fatima just cooks for you. 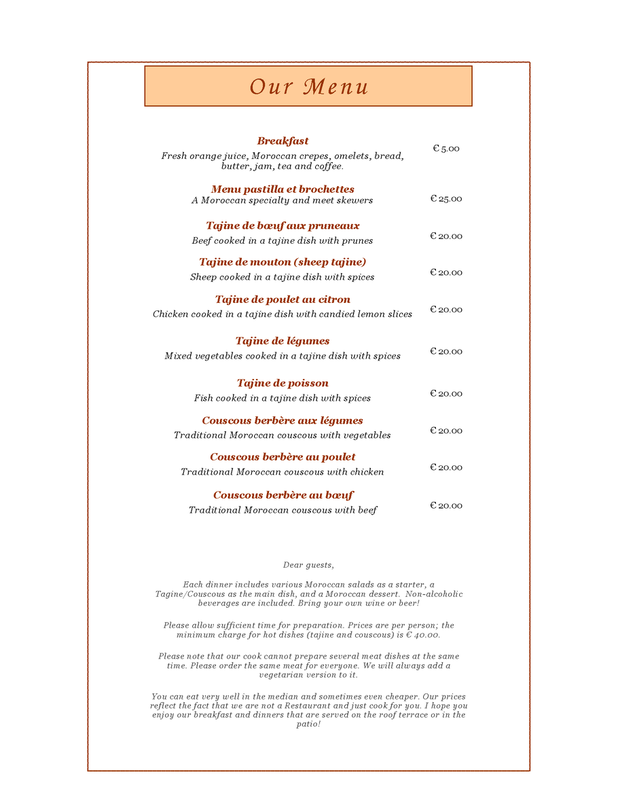 I hope you enjoy our breakfast and dinners that are served on the roof terrace or in the patio!